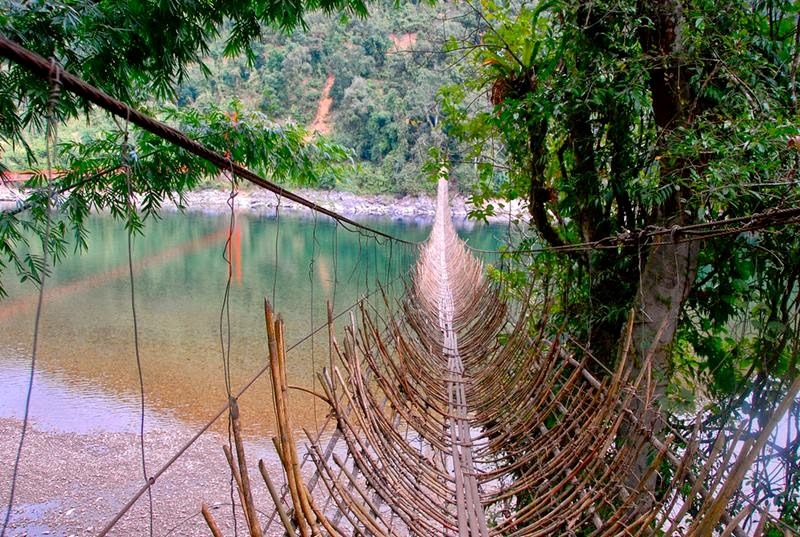 The Hanging Bamboo Bridges are a local bridge built on the Siang River at Along, Arunachal Pradesh, India. They are made of cane and bamboo. 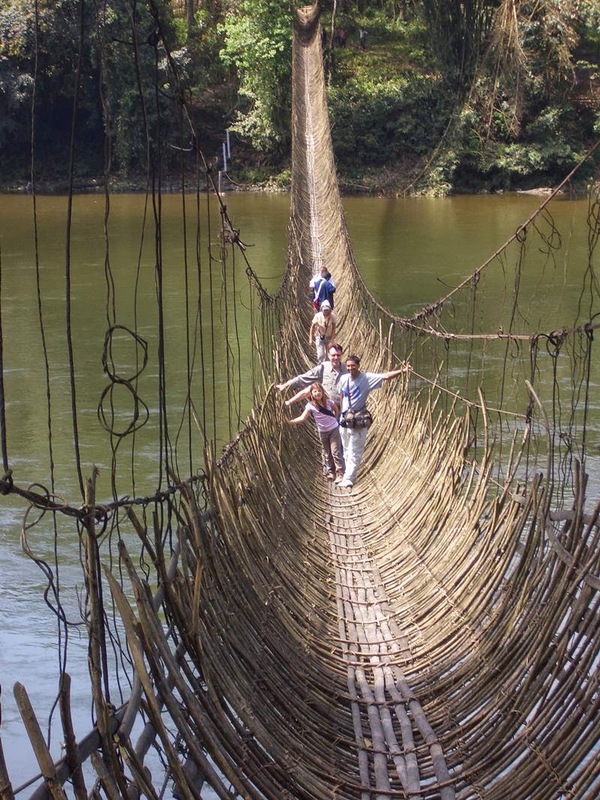 These bridges was built by the local tribes to create a mode of transport amidst the hills.The 60 to 70 meters long bridge is a major connectivity for the tribes to other hilly areas.The bridge is worth watching and talks about the skills of the locals. 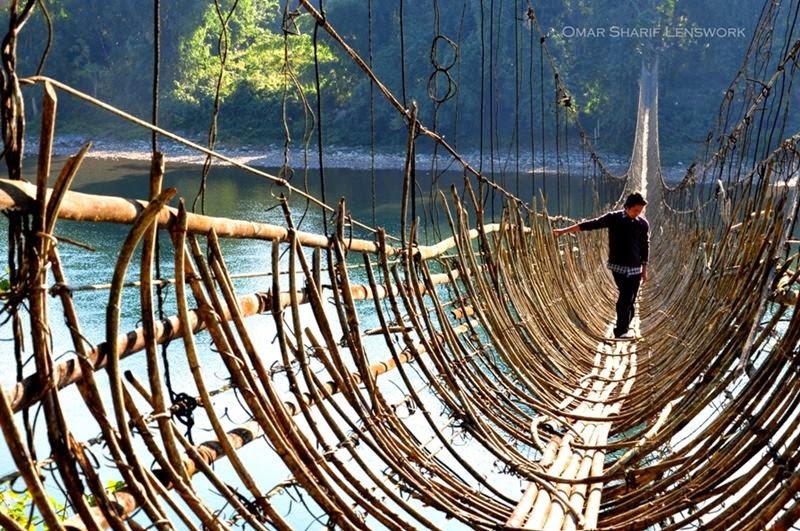 Fishing is great fun in the waters near the bridge.Visitors enjoy the exciting walk on the bridge and the amazing valley view that they get while crossing it. 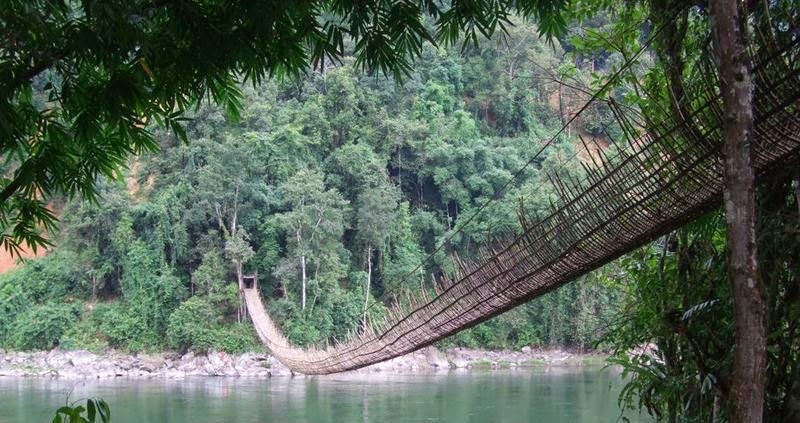 Arunachal Pradesh — Land of the rising sun has many undiscovered places to attract tourist form many parts of the world. 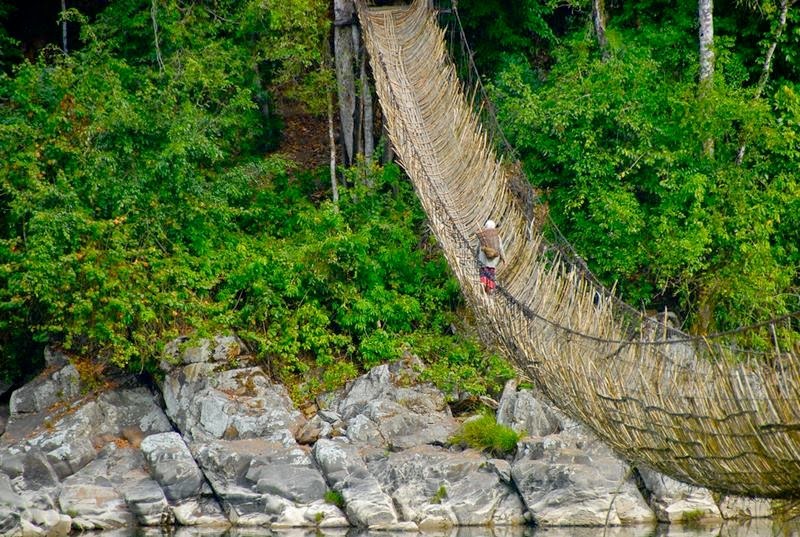 Tourist attractions include Buddhist monastery in tawang, Sela lake near Bomdila with its bamboo bridges overhanging the river and undiscovered scenic beauty of tuting. 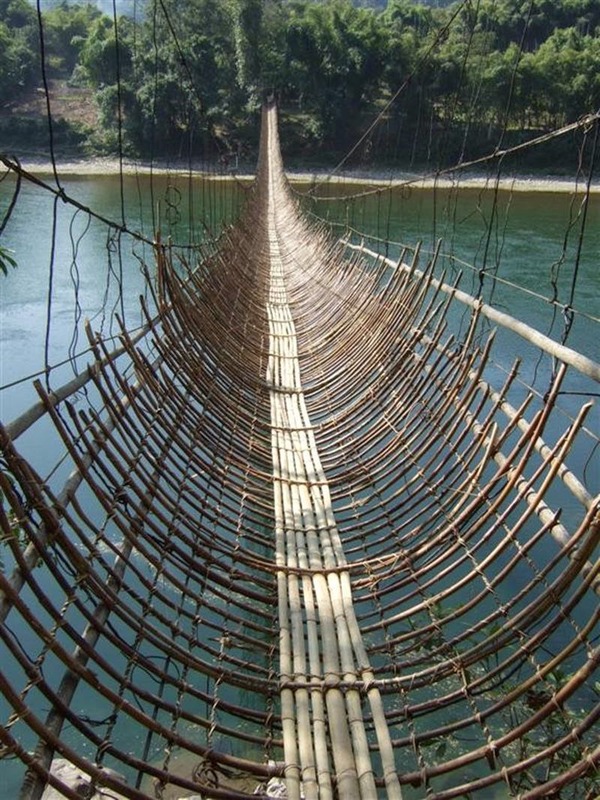 Rafting and trekking are also main attractable sports. 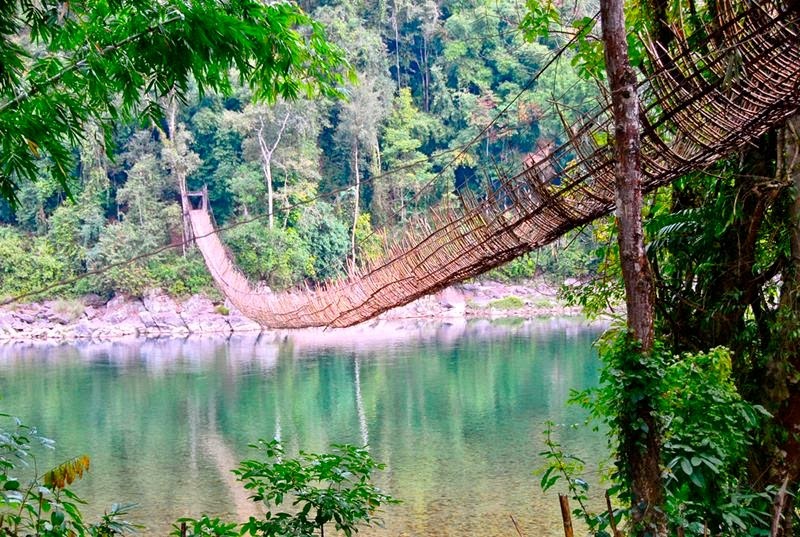 Namdapha National Park located in Arunachal Pradesh, is one of the unexplored national park of India, It is also home for some of the giant animals, the great Hornbills and Red Giant Flying Squirrel.